Circa Paleo will present a program of world music for the Beeville Concert Association Thursday evening, Feb. 9 at 7:30 p.m. at the Gertrude R. Jones Performing Arts Auditorium at Coastal Bend College. The name of the group comes from Latin circa, “about” or “around,” and Greek paleo, “old, ancient, or ‘far’ in space and time,” resulting in circa Paleo — around the world in approximate times. 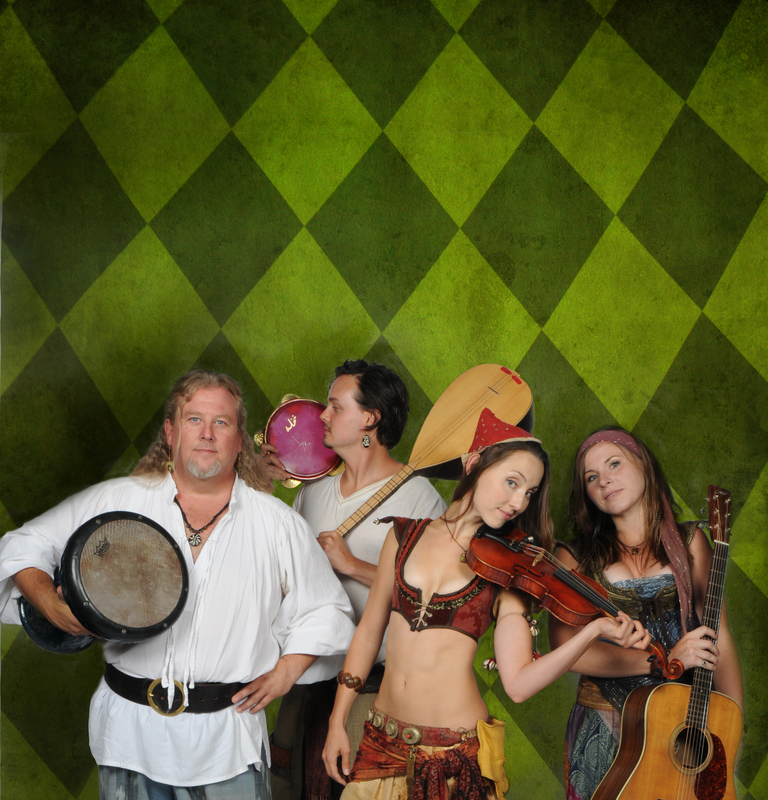 They have performed at Texas Renaissance Festivals and at similar venues throughout the United States. Sisters Jenny and Kelly O’Connor will play violin, guitar and mandolin with Joshua Amyx and Jay Elkins on percussion, the Turkish saz (similar to a lute), clarinet and bass guitar. The O’Connor sisters are the daughters of Beevillian Janet Drew Brockman of the local Hamp and Janet Guitar Duo. Their program includes folk music from Sweden, Ireland, Kashmir, Scotland and other countries. It also includes traditional gypsy music. The concert is free to all students through high school age, to CBC students with their student IDs and to any adult who brings two children or teens to a concert. Other adults who do not hold BCA season tickets will pay $10 at the door.